East Anglia offers those wishing to try Footgolf a perfect opportunity in the heart of Norfolk, in Norwich, at Eaton Park. There is an existing Pitch and Putt course here, Norwich Pitch and Kick, and Footgolf is now joining the party. Just one mile from Norwich train station, Eaton Park is easy to access. 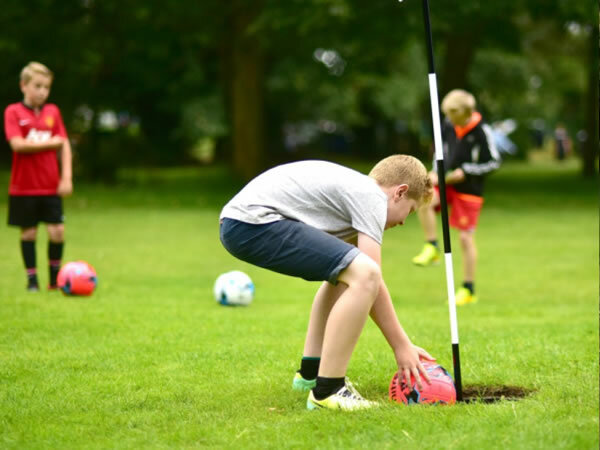 The Footgolf course had a hugely successful opening in 2015 and looks set to continue in its popularity. The growing Footgolf craze has taken Norfolk by storm. The course is 1483 yards long, Par 60, making it absolutely ideal for those just looking for a taster session, or those wishing to improve their technical skill. This is a turn-up-and-play course, making it a brilliant option for a spontaneous outing. It’s suitable for any age range and can be enjoyed by all. There is ample parking and footballs are provided should you need them.